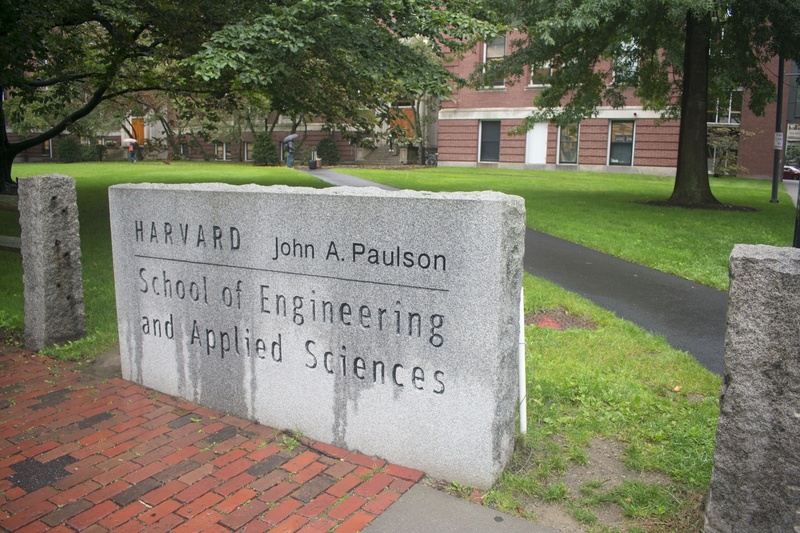 The John A. Paulson School of Engineering and Applied Sciences sign stands in front of Pierce Hall. Nada Amin will join the School of Engineering and Applied Sciences’ Computer Science faculty this fall as an associate, the school announced Tuesday. Amin — whose research explores “easier, faster, safer” ways of programming — received her doctoral degree in Computer, Communication and Information Sciences from the École Polytechnique Fédérale de Lausanne in Switzerland. She currently teaches at the University of Cambridge as a University Lecturer in Programming Languages. Amin said she anticipates that teaching at Harvard will be different from teaching at the University of Cambridge because she will have more influence over what students choose to study. Whereas undergraduates at the University of Cambridge enter the university already having chosen a field of study, undergraduates at Harvard do not have to declare a concentration until the fall of their sophomore year. When asked how she would encourage students to explore computer science, Amin pointed to the broad applicability of coding and programming to other disciplines. Computer Science Area Co-Chair Salil P. Vadhan ’95 wrote in an emailed statement that he is “thrilled” Amin will be joining the department’s faculty. “Nada is a rising star in the area of Programming Languages (PL), with a number of surprising research results already to her name,” he wrote, pointing to Amin’s identification of a serious bug in the core of the Java programming language. Vadhan wrote that Amin’s appointment will bolster education in programming languages, a “core area” of computer science that has been “severely understaffed” in the department. “Together with [Computer Science] Professor Stephen N. Chong, Nada will enable us to have a broader and more consistent set of research and teaching activities in PL, which will greatly benefit both our undergraduate and graduate students,” Vadhan wrote. Amin said she is looking forward to collaborating with faculty members at Harvard and interacting with students — both of which she said will enhance her research. “It’s a job where it’s really fun to get to interact with students, to teach, and at the same time, the teaching feeds the research, and the research feeds the teaching,” she said. —Staff writer Ruth A. Hailu can be reached at [email protected] Follow her on Twitter @ruthahailu. —Staff writer Amy L. Jia can be reached at [email protected] Follow her on Twitter @AmyLJia.